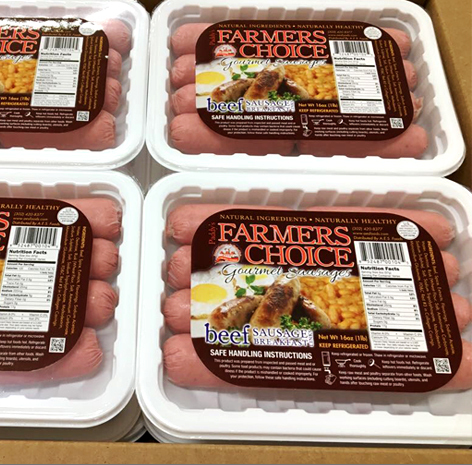 Paddy's Farmers Choice Sausage is freshly made from prime cuts of beef that is high in quality combined with the finest ingredients. 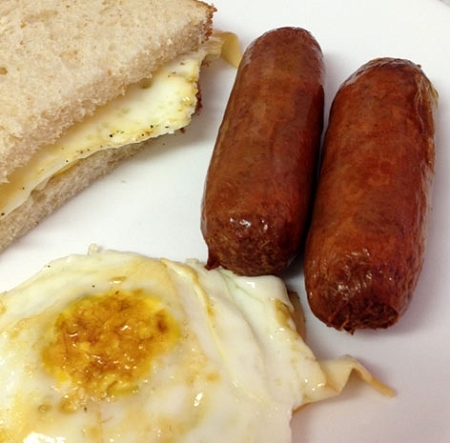 The shipment came on time and the sausages are as expected - delicious and reminds me so much the ones we buy in Kenya. Kudos to AES Foods. First and foremost, I enjoyed their customer service. Secondly, the shipping was FAST worth the cost. Third, packaging was neat and I didn't have to worry about the sausages thawing since I was away for a.few hpurs.during delivery. Fourth, the sausages are superb will be ordering more from them to share with family once the ones I have run out. I just wanted to try them and I am now Definitely will be buying more. Great customer service. Patrick even called me to save some shipping cost! I ordered this product lat year and thought the sausages were great. This year they are even better:). Great taste! Reminds me of sausages back home - at the fish and chips stores. Asante sana! Wapi Bwana Sausage? Mimi nataka Paddy's Farmers Choice Sausage. 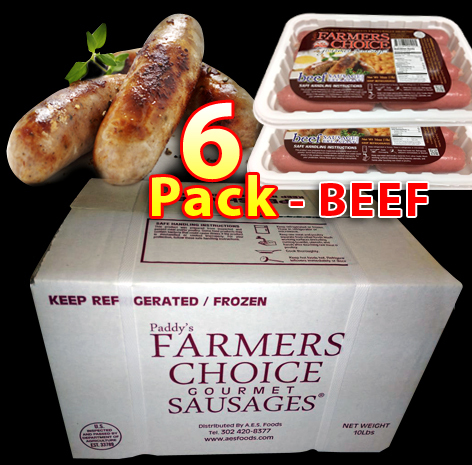 The shipment took a week to get to me due to weather but the packaging is solid so the sausages were still not thawed all the way. Second time ordering and will be ordering again. The taste is pretty darn close to Farmers choice. Get them, you'll love them. Excellent Product. Very tantalizing and delicious. 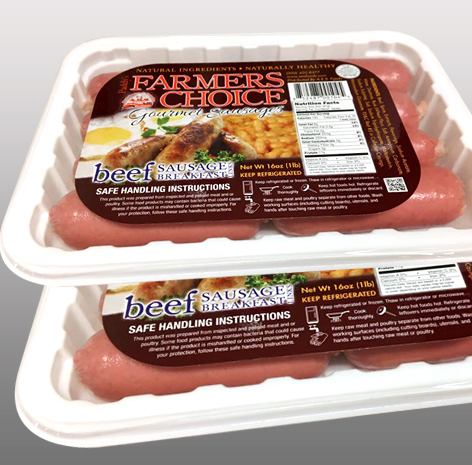 The taste is impeccable and reminicient of what Farmers Choice sausages are! Definately will continue ordering more. Greatful you have this product. Thumbs Up All the Way!!! Excellent customer service, good product which my family loves. I have told a number of pple about AS. The sausages are so good,reminded me of home and the farmers choice sausages we used to eat back home. Thanks Paddy.They are low sodium. You've brought home closer to me. I wish we had a distributor here in Seattle WA. The sausages were delivered still cold and fresh. They were very delicious. 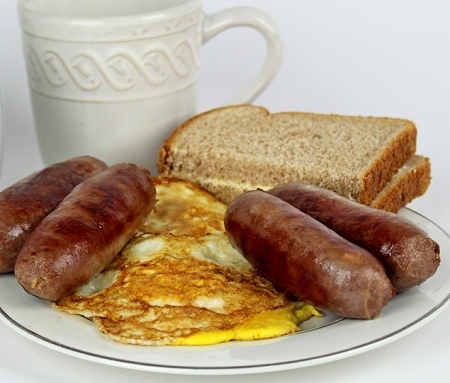 I like that all I taste is the meat and flavor, and not the salt like what is in many of what are called sausages in the U.S. Thank you! Their customer service is Superb!!! . Shipping was FAST worth the cost. Product is really really Great.! Am a fan and customer!